Named in honor of the 43rd President of the United States, Café 43 is a full-service restaurant with a "local first, Texas second" menu. 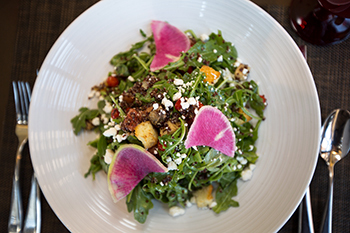 We feature locally-sourced, organic dishes that change seasonally, with complex interpretations of Texas-influenced dishes and classic favorites. Café 43 Hours: Open Daily 11:00 a.m -3:00 p.m.
Brunch served Saturday and Sunday. Dining at Café 43 does not require admission to the George W. Bush Presidential Library and Museum. Enjoy a casual dining experience in the Bush Center's Ceremonial Courtyard, featuring daily chef-created specials, as well as soups, salads, sandwiches, breakfast items and Starbucks Coffee. Dining at the Courtyard Café does not require admission to the George W. Bush Presidential Library and Museum. 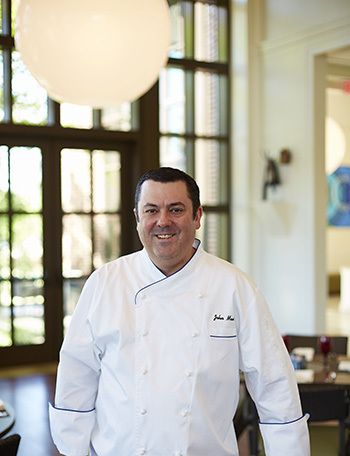 Weekdays and Saturday: 9:00 a.m. - 4:30 p.m.
An accomplished chef with a strong combination of culinary experience and management skills, Executive Chef John Maas has created a locally sourced, organic, seasonal, sustainable menu for Café 43, offering recipes made entirely in house. 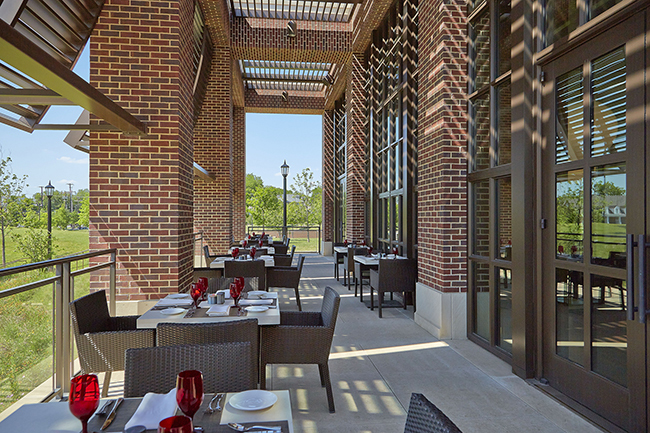 With its exquisite terrace seating overlooking the restored native Texas prairie landscape of the Bush Center, Café 43 is a convenient, centrally located choice for rehearsal dinners, retirement parties, corporate dining and very special events. Contact the Catering Department at 214-200-4303 for details and arrangements.